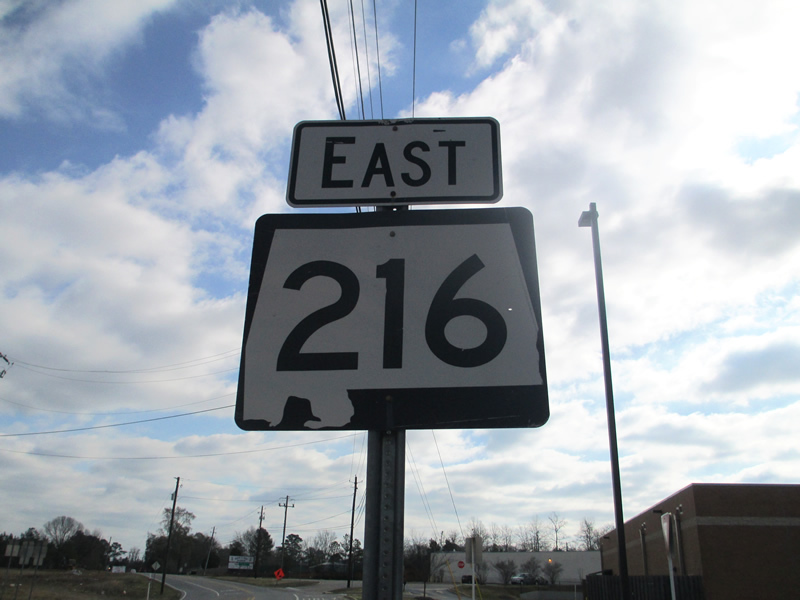 First eastbound reassurance shield for Alabama 216 in Tuscaloosa. The 26-mile state road runs from AL 215 to I-20/59. Photo by Matthew Taylor, 3/6/2013.